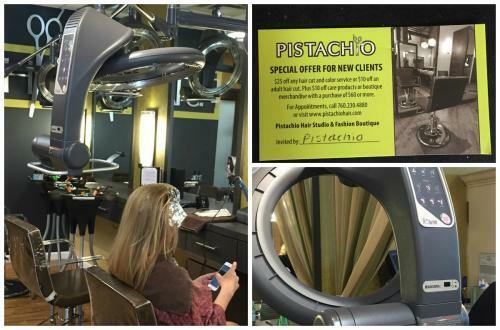 There are many reasons why Pistachio Cut and Color Bar is the most recommended specialty color team in Carlsbad! We take pride in our work by having weekly education in order to take our skills into perfection. Innovation is another reason for the buzz Pistachio Cut and Color Bar is creating. Our salon invests in technology that helps us compliment and deliver such a high quality service for you each time you come! Our Takara Belmont hair processors offer speed, power, and a rotating ring help color and chemical treatments penetrate deeper and faster delivering enhanced results that last. We are proud to offer one of the most healthy hair color in the industry, AVEDA! With the newest technology our goal of being able to not only meet your expectations, but exceed them!!! Don’t miss out…Book your appointment Today!